There are 11 different toned washes in the Warpaints range. 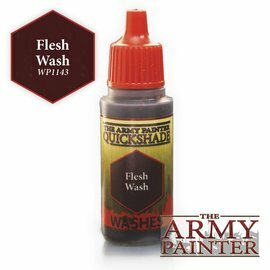 The Quickshade washes share the same type of extra heavy pigment which makes them formidable for adding shading and colourful effects to a miniature. Soft, Strong and Dark Tone are identical in colour to the 3 original Quickshades. All photos are copyrighted by the Army Painter.